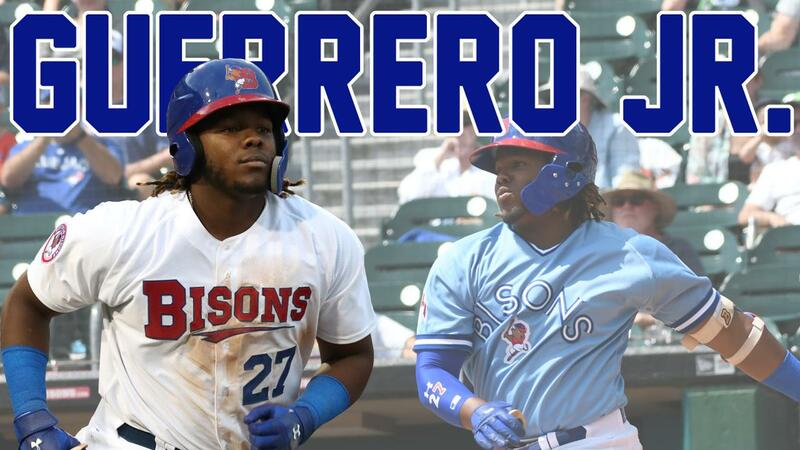 The top prospect in all of baseball, third baseman Vladimir Guerrero Jr. has rejoined the Bisons on the team's first roadtrip of the season in Scranton/Wilkes-Barre and Pawtucket. The Herd returns home for a three-game in two-day homestand, April 19-20 at Sahlen Field. Guerrero is the top prospect in baseball according to several outlets that include MLB Pipeline and Baseball America. He was also named the 2018 Minor League Player of the year by Baseball America and USA Today after combining to hit .381 with 20 home runs and 78 RBI in 95 total games between the Gulf Coast League, Dunedin (A-Adv), New Hampshire (AA), and Buffalo. Last season Guerrero made his Triple-A debut on July 31st against the Lehigh Valley IronPigs, playing in 30 total games for the Herd before the end of the season. He hit six home runs, with four coming in four straight days from August 8-11. His final home run of the season came on the road against the Syracuse Chiefs on September 2nd. The Bisons next two-day homestand features a Honda fridaynightbash! with Fireworks as well as a single-admission doubleheader on Saturday where you can get two kids tickets (14 years old and younger) for FREE with any one adult ticket purchase at the Sahlen Field Box Office. April 20 is also our first Dog Day at the Ballpark. CLICK HERE to read about all the promotions scheduled for April 19-20.